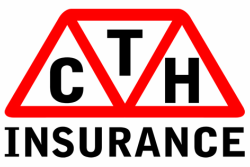 Welcome to CTH Insurance, we've been around for a long time and with that comes experience which is unrivaled in the Isle of Man Insurance Market. Priding ourselves on the advice we give and the cover we can obtain for you, our experienced advisors are skilled in finding you the right policy at the right price. In a world where we are taught to cut costs, there are pitfalls by doing this and at CTH Insurance, you can rest easy in the knowledge that we reduce premiums but not cover from your Insurance. We have offices in both Douglas and Ramsey providing advice to our customers, new and existing. With a wide variety of customer requirements, you can be assured of our ability to provide first class cover specifically based on your needs. The CTH Range of exclusive policies provide inclusive covers designed for the needs of Island residents but we also have access to the leading UK insurers, meaning that we can provide cover, whatever the circumstances.